Wishing your loved ones on their special occasion is an escapable part of life. At every occasion you have to carry a gift full of your wishes or love. 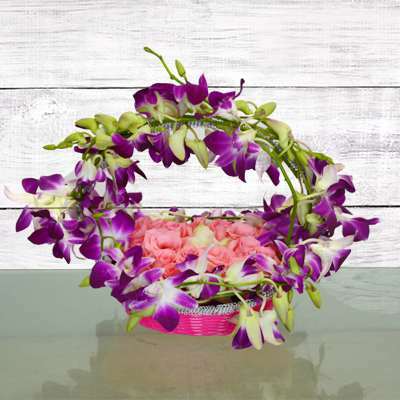 If you are looking for any such gift for your loved ones, then this enchanting basket filled with magical 6 purple orchids, 14 pink roses and 3 white roses in a mystifying presentation is a memorable gift.